After years of taking care of their parents, Plum and her three younger brothers are now selling their home and going through their possessions. If you have ever had to do this, it brings back so many memories and makes it hard to let things go. 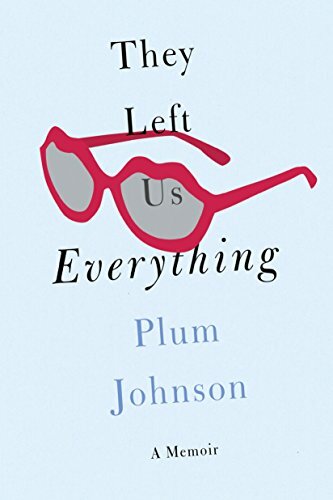 Plum lives in the house until it can be sold and she reflects about her relationship with her mother and her mother’s life. She reads her mom’s old letters and learns more about her past as someone in the military and as a military wife. All the while, she comes to terms with her mother’s passing. This book resonated so much with me. I lost my mother a year ago. I felt a lot of the very same things that Plum writes about. It had me in tears at a few passages that hit home exactly. And there were a few passages that made me see things in an entirely different way. I too was the oldest and as such, especially being the daughter, was expected to be the caretaker. Plum’s brother writes her the most beautiful letter and my heart broke a little for never having heard those words from my brothers. There is a very funny moment for me in the book where Plum sees a cat and thinks of course it’s her mother. My mom, who was not an animal lover, told me that if a cat comes to my door, let them in because it’s probably her! Moms and cats, who knew. I also really associated with Plum wondering when she was going to get to be the mother with her daughter and not have to have her life revolve around her mother. That mother/daughter bond is deep. This is really a great read for anyone going through this same process or even if you haven’t yet, maybe her words can prepare you for what you will one day face. I am glad Plum took us on this very personal journey. I am always a bit leery about reviewing a memoir or autobiography because really, who am I to tell you that your life story isn’t good enough. I wasn’t leery at all going into reading this book. We all become one big group, we caretakers of parents with dementia. 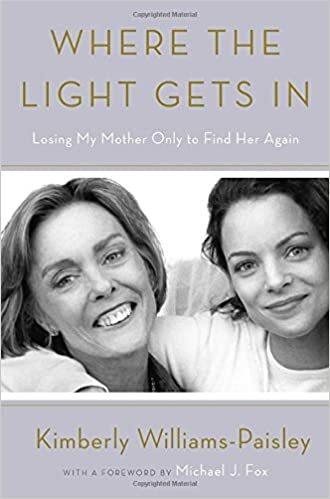 My mom did not have the same kind of dementia as Linda Williams but Kimberly wrote so much of what I felt, the sadness, the loss, the anger, the helplessness. Kimberly Williams-Paisley grew up in a loving family. She seemed to have the usual problems with her mother that many teens have. I definitely did. My mom and I were not close during those years. I honestly think becoming a parent changes the way you look at your mother. When she decides to marry Brad, her mom is not very supportive and that hurts her but her mom, at that time, had slowly started her decline. They just didn’t know it yet. Hindsight is 20/20, I have those moments now where I go “it must have been starting back then”. Things start to move a bit faster and she is diagnosed with primary progressive aphasia. She will lose the ability to speak, form sentences. And then of course, there are all the lovely things that go along with dementia like the forgetting, the anger. They finally have to decide to find her an assisted living home, a decision you can’t take lightly. It’s the hardest thing to become a parent to your parent. My mom suffered from Lewy Body Dementia for over 4 years. She could always speak and usually recognized everyone but the fear and the anger were so hard at times. Nothing I could do would soothe her and I would get angry. Reading this, it was so good to not feel alone. I hated myself for losing patience but I was her caregiver. It was me and her against the world and the world of dementia isn’t pretty. Kimberly’s therapist Karen said something so profound and that has stayed with me after closing the book, “Don’t look at what you’re not getting from your mother. 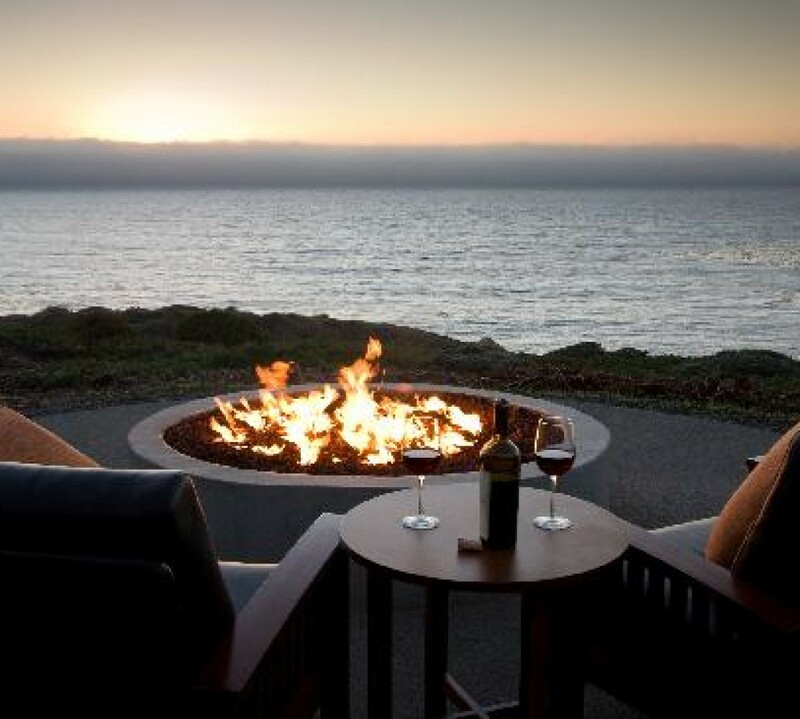 Look at what you are getting.” I received so much from those years of taking care of her. There were those lovely moments when the light did shine in. There is a section with questions and answers that are very helpful for people just starting this journey. There are very good questions to ask your doctor and to find out if taking care of your loved one at home or if you need help is the answer. Thank you so much for writing this book. I think with your voice, you will make people feel as if they are not alone. As if their feelings matter too. Illeana Douglas loves movies. It’s so apparent and so infectious. You will love all the movies she loves too! 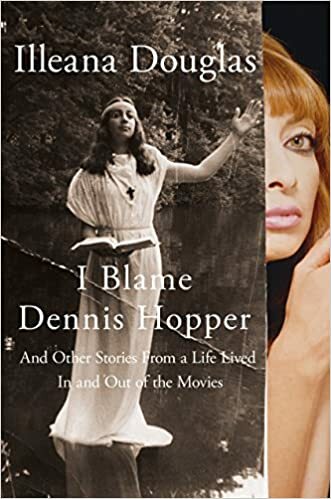 From the movie that made her blame Dennis Hopper (fun story) to the movies she has been in, she tells her stories with a lot of love and a lot of laughs. Her love of cinema is what makes this book work so well. She’s a big fan herself when it comes to meeting Marlon Brando or Roddy McDowall. Her stories take us all around her career. It also takes us into her life as the granddaughter of the late great Melvyn Douglas to her relationship with Martin Scorcese. There is no meanness in this book so if you are looking for dirt, look elsewhere. It was a joy to read and I look forward to reading whatever she comes up with next. Wildflower is one of those very enjoyable reads. You know, the kind where you find yourself smiling or laughing or just shaking your head. It’s an autobiography but told in a different ways. Each chapter is a different time in her life but not in any chronological order. They aren’t even exactly all times. A couple of the chapters are love letters to her daughters, who she obviously adores. 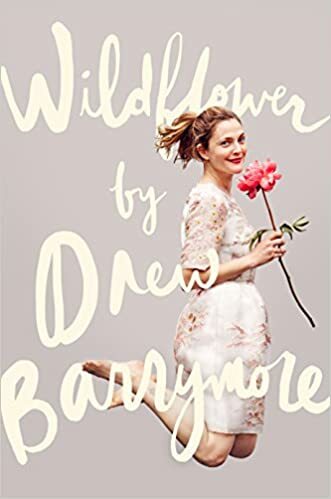 I think it’s Drew Barrymore exactly as you think she is, bubbly, independent, maybe a bit out there. And she does like the use of exclamation marks! It seems like they are at the end of every other sentence. But isn’t that the Drew we all know and love? She took a rather rocky beginning and teen life and made something out of it without regrets. If you like Drew, and who doesn’t, you should pick this one up. 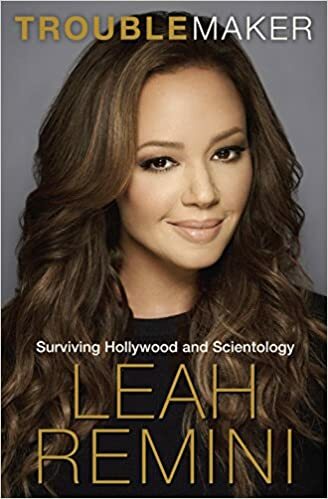 I think Leah Remini is someone that you either really like or really dislike. I, for one, actually really like her. Would I want to hang out with her everyday? Probably not but she would definitely be a friend who would have your back and reading this book, really proves that. I have been fascinated by Scientology and what makes people so into it. I’ve watched documentaries, read books about it. And reading Troublemaker, it takes you deep inside what it takes to be in the “religion” and what it takes to leave it. Leah never completely knocks what it stands for, she just points out the hypocrisy of it’s members. The whole situation with Tom Cruise will really hook you in. And she doesn’t even really put him down but makes you look at the way celebrity is thought of in that world and really our world. This book is what I look for in a autobiography. There is the good stuff in here. I could not put it down once I picked it up. I laughed. I hurt for her. I loved her family even more than I did from watching her show. She speaks her mind and doesn’t apologize for it and boy, am I glad she does! I am sure the Scientologists are on the defensive now but there have been too many stories that all sound so similar for it to be untruths. Great read! One of my very favorites this year. I love The Little Couple on TLC. Their joy for life and love of their family is just so heartwarming and uplifting. In this age of so much nonsense, especially on reality shows, it’s refreshing to see a happy family. 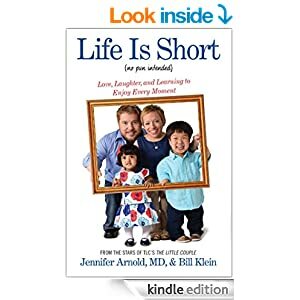 Their book delves more deeply into the trials and tribulations of being a little person, especially when they were young. The amount of surgeries alone! And yet, they kept up their optimism and hope throughout it all. Oh, there were a few dark moments but they pushed through them. Their love story, they see each other very young and then not again for years, is perfect. Kismet does exist! They go into a bit more detail about Will and Zoey’s adoptions. There are a few behind-the-scenes things we didn’t see on the show. And of course, Jennifer’s cancer battle is discussed but still with that never-say-quit attitude. 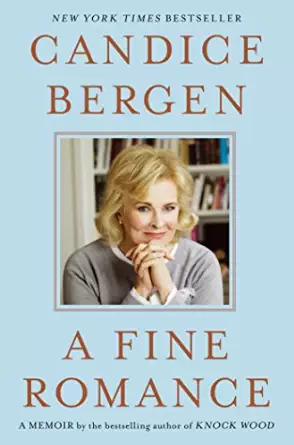 The chapters are told in alternating voices and it would have been great to listen to this book on audio with Jennifer’s bubbly personality and straightforward, seriousness and Bill’s sarcastic humor. (He’s my kind of guy.) You will find yourself smiling while reading it and quite satisfied at the end. I am just glad that I can continue to watch their lives on their show and see just where they go.